Herringbone is a simple, graphic pattern, inspired by chevron. The bold pattern is being used by creative individuals all over the world in all professions. 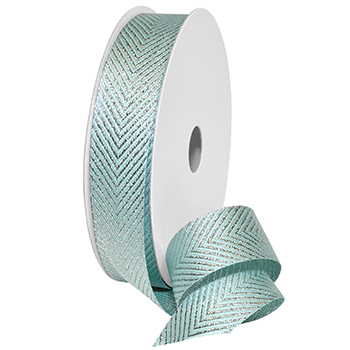 Our NEW Herringbone Metallic pattern, with its polyester base and woven metallic, is absolutely perfect for weddings, home decor projects, holiday decorating, gift wrapping, floral arrangements, crafting, hairbows and more! Available in 6 dazzling color combinations.